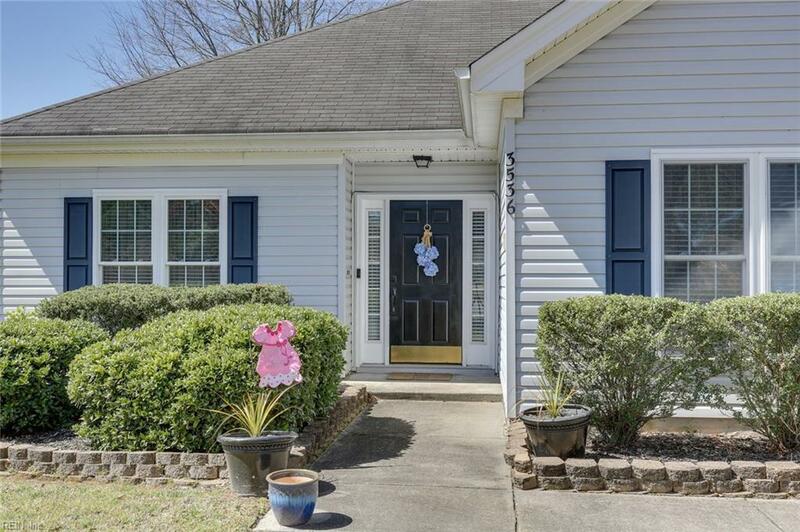 3536 Cedar Ln, Portsmouth, VA 23703 (#10249780) :: Abbitt Realty Co. 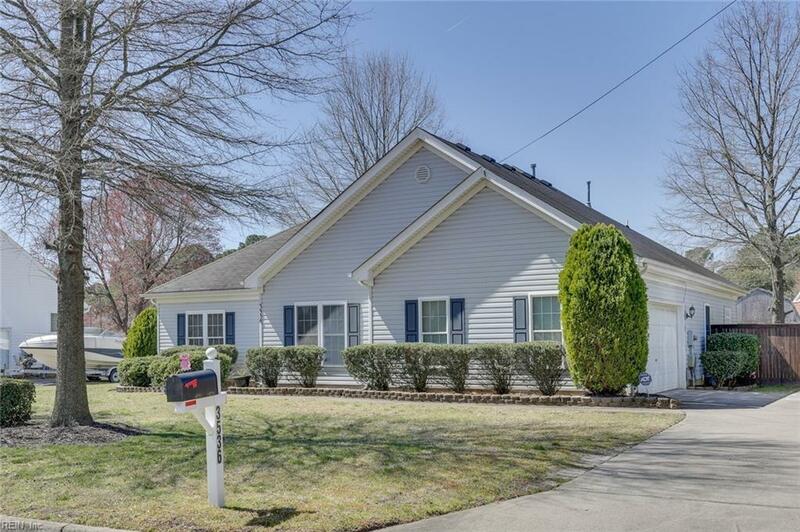 BEAUTIFULLY & METICULOUSLY MAINTAINED RANCH HOME IN DESIREABLE GREENFIELD FARMS IN PORTSMOUTH. 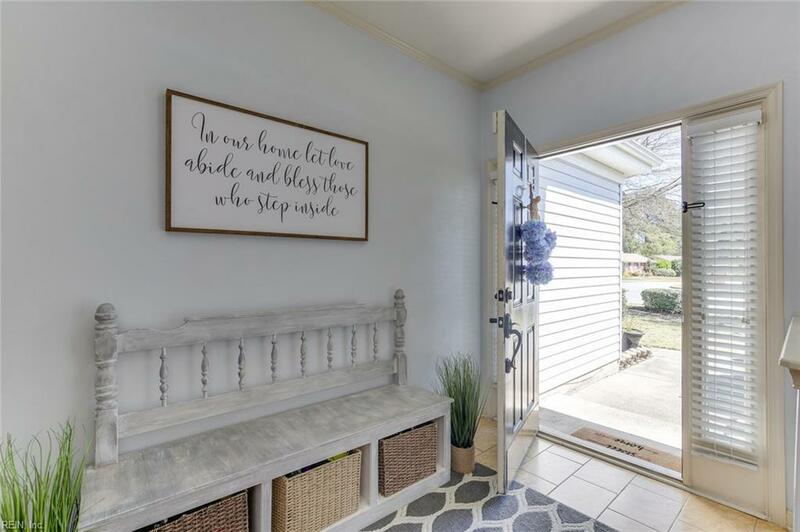 GORGEOUS OPEN FLOOR PLAN WITH GOURMENT KITCHEN WITH BUILT-IN EXPRSSO MACHINE, STEAMER OVEN & STAINLESS STEEL APPLIANCES; OPENS TO THE DINING ROOM AREA AND THE FAMILY ROOM WITH GAS FIREPLACE AND CATHEDRAL CEILINGS. JETTED MASTER BATH WITH DUAL VANITIES, TREY CEILING IN MASTER BEDROOM. DOUBLE CAR GARAGE, FENCED BACKYARD, HUGE DECK FOR GREAT BARBEQUEING. 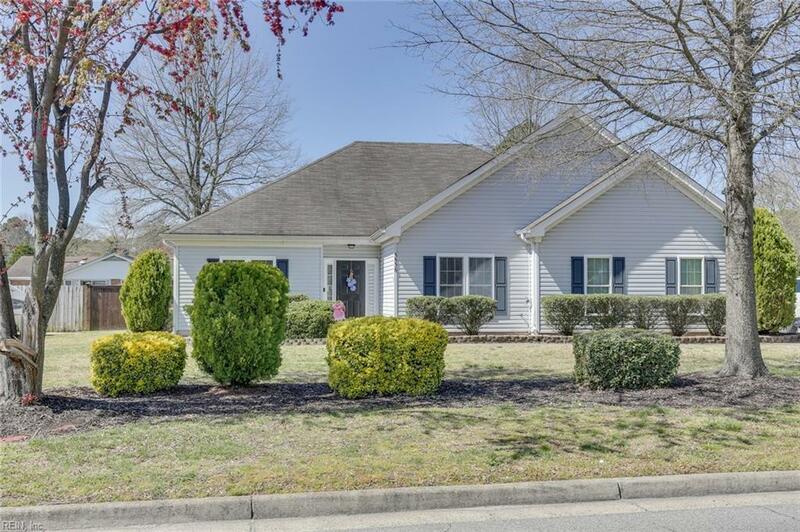 CHURCHLAND SCHOOLS, CLOSE TO MILITARY BASES, GREAT SHOPPING & RESTAURANTS. THIS HOME WILL NOT LAST LONG!